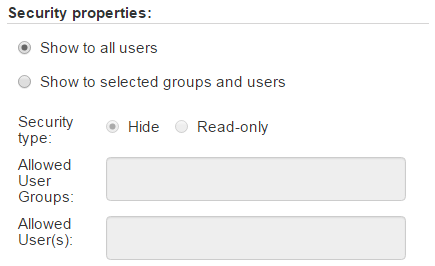 You can define custom permissions to the most of elements in your SharePoint Forms. 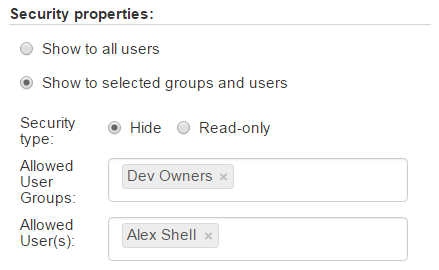 The element can be visible for all users or you able to set custom permission for limited list of allowed users or SharePoint groups. Note: The required fields marked with * are always visible for all users.